VERO BEACH – Here’s something you don’t see often in Vero Beach. 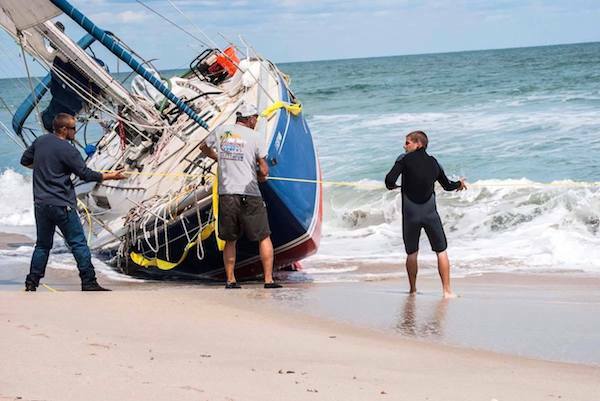 A sailboat washed ashore last night and was spotted this morning on the Treasure Coast near the Sebastian Inlet. “A witness told us that an elderly man was on the vessel and was taken away by police,” Mattison Taylor, photographer and owner of AffinityPixels Photography in Vero Beach, told Sebastian Daily. 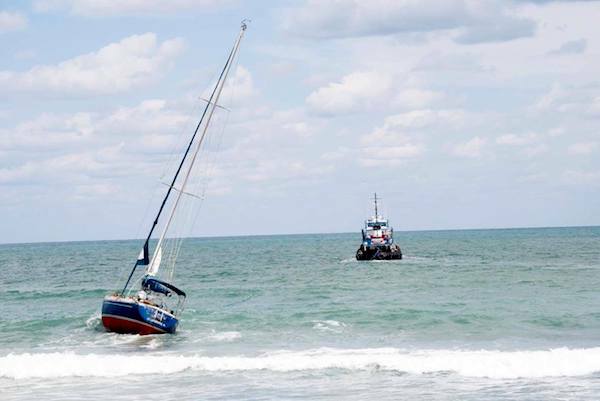 According to Taylor, the sailboat was right off of A1A about a mile away from the Sebastian Inlet. A tugboat arrived later in the day to move the sailboat. Bystanders stood and watched the tugboat pull the sailboat safely to sea. 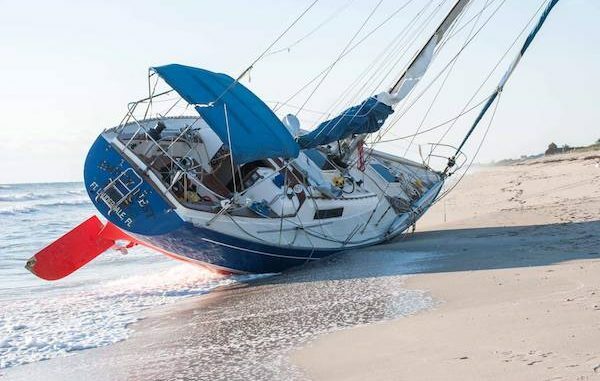 So many things could have gone wrong when the sailboat was beached. Luckily, the vessel had minimal damage and was able to float once it was pulled back into the ocean. No one was harmed. This is a developing story, please check back for updates.